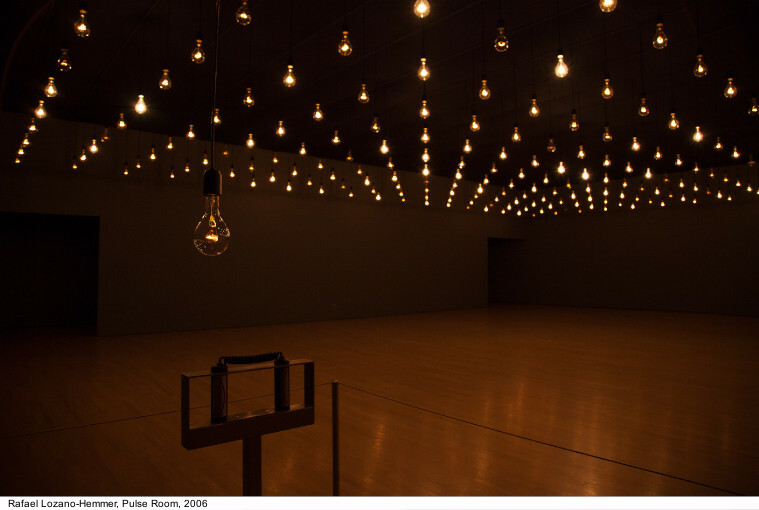 Pulse Room (2006) rounds out the exhibition, featuring hundreds of clear, incandescent light bulbs hanging from the ceiling in even rows, pulsing with the heartbeats of past visitors. You can add your heartbeat to the installation by touching a sensor, which transmits your pulse to the first bulb. Additional heartbeats continue to register on the first bulb, advancing earlier recordings ahead one bulb at a time. The sound of the collected heartbeats joins the light display to amplify the physical impact of the installation. 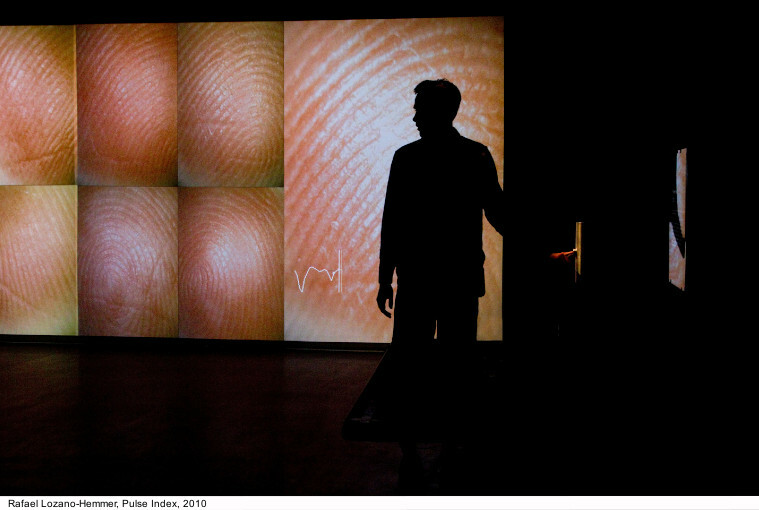 Three short documentaries of Pulse works are also on view, showing the breadth of the series through video footage of various other biometric public-art interventions in Abu Dhabi, Toronto, Hobart, New York, and Urdaibai, Spain (2007–2015). Curated by Stéphane Aquin, Chief Curator with curatorial assistance from Betsy Johnson, Assistant Curator. 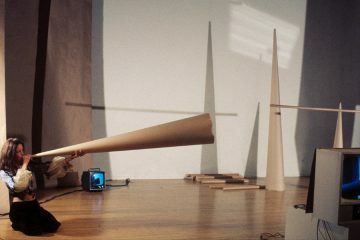 In conjunction with the Hirshhorn exhibition, the Mexican Cultural Institute of the Embassy of Mexico in Washington, D.C. presents the Washington debut of Lozano-Hemmer’s 2011 work, Voice Array, on loan from the Hirshhorn’s collection, a gift of the Heather and Tony Podesta Collection in 2014. 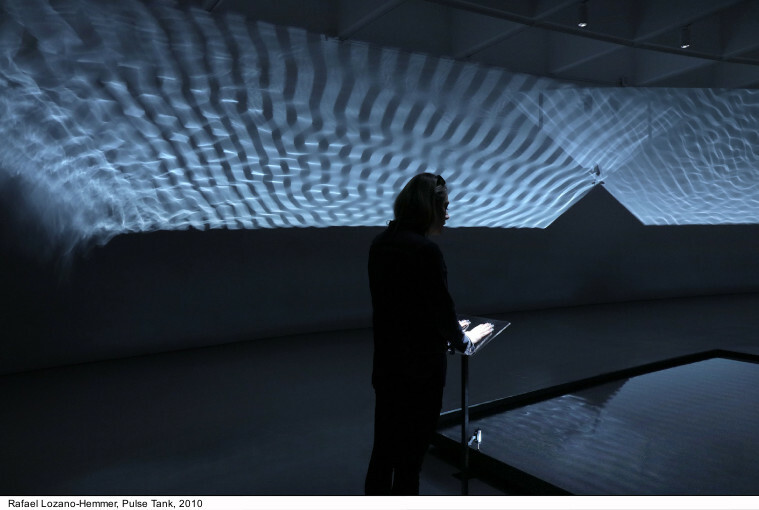 On view from Oct. 31 through Jan. 31, 2019, the interactive work records participants’ voices and converts them into flashing lights that come together to visually and aurally depict the cumulative contributions of the last 288 visitors. 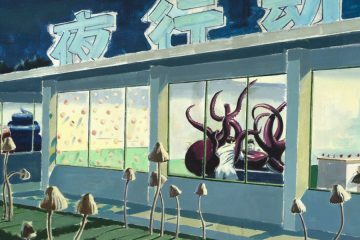 This is the newest project from Hirshhorn in the City, the Museum’s initiative to bring international contemporary art beyond the museum walls and into Washington’s public spaces to connect artists and curators with the city’s creative communities. 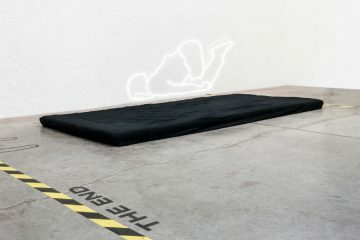 Lozano-Hemmer was born in Mexico City in 1967. In 1989, he received a Bachelor of Science in physical chemistry from Concordia University in Montreal, Canada. In 2003, he founded the studio Antimodular Research in Montreal, which is composed of 14 programmers, engineers, architects and artists from around the world. 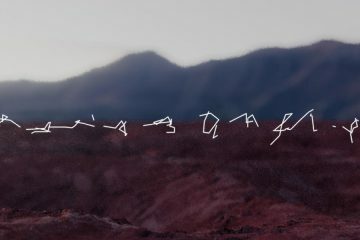 Lozano-Hemmer was the first artist to represent Mexico at the Venice Biennale in 2007, and he has recently had solo exhibitions at the MUAC Museum in Mexico City, the Musée d’art contemporain de Montréal, and the Museum of Contemporary Art in Sydney. 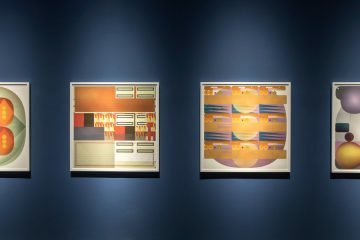 His work is in the collection of the Hirshhorn, as well as MoMA, Guggenheim, Museo del Barrio in New York, the Tate and Science Museum in London, CIFO in Miami, Jumex and MUAC in Mexico City, SFMOMA in San Francisco, and many others. More than two dozen permanent architectural commissions are currently being developed around the world, and his large-scale interactive installations have been created for public spaces in Mexico City, New York, Vancouver, and Berlin.